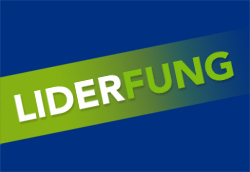 LIDERFUNG LIQUID is a fungicide for feed based on propionic acid, and flavoured with natural products to minimize the characteristic smell of this acid. Propionic acid has an inhibiting effect on the growth of moulds, because it impedes the synthesis of the moulds wall and the metabolization of carbohydrates. LIDERFUNG incorporates essential oils obtained from spices to achieve a multiplying action on the effectiveness of propionic acid. These spices contain properties which help to digest the feed, protect the gastric mucosa, and which are also hepatoprotective, mucolytic and balsamic. Description : Fast acting preservative for feed, but with a residual effect, based on propionic acid (min. 30%), and natural essences. Presentation: 10 kg boxes containing 2 bottles of 5 kg. 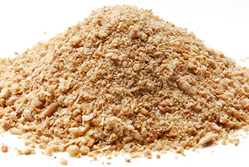 Dosage: It can be added to cereal, fat or feed at the dosage of 0,5 to 2 kg/Ton. It also can be added to drinking water at the dosage of 0,2 to 2 ml/litre of water. In nature, propionic acid is found in wine, cheese, etc. ; it is also produced by the microorganisms in the belly of ruminants; this is the reason why it is easily metabolised by them and other monogastric mammals, including humans. Propionic acid is quickly absorbed in the digestive tract, and it is metabolised, producing energy through Krebbs's cycle; and furthermore it does not show up either in urine or in faeces. When LIDERFUNG liquid was formulated, an excipient was added to prolong its antimould and acidifier activity, and also to slow down the absorption of the product through the small intestine.